>> God is patient and persistent. Sanhedrin, the Jewish high council. This was a man who carried a lot of influence. hours afforded him a chance for conversation about a crucial issue with which he was wrestling. 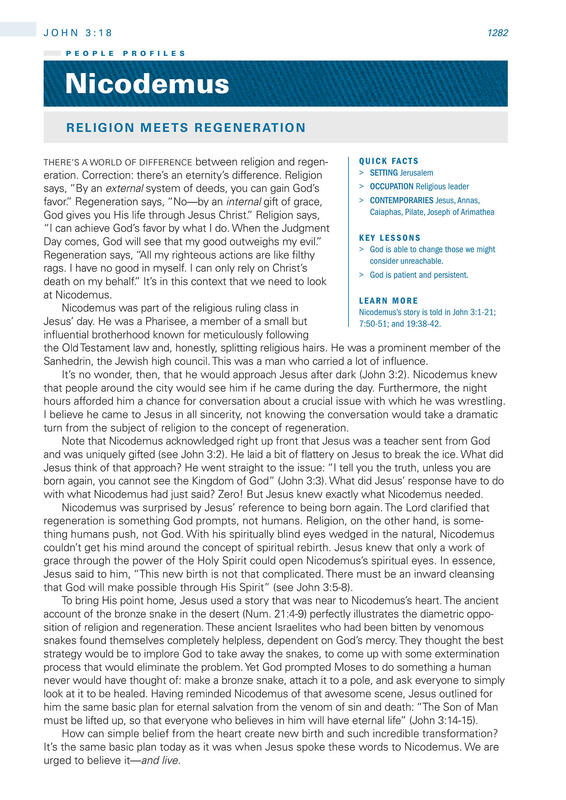 turn from the subject of religion to the concept of regeneration. with what Nicodemus had just said? Zero! But Jesus knew exactly what Nicodemus needed. that God will make possible through His Spirit” (see John 3:5-8). must be lifted up, so that everyone who believes in him will have eternal life” (John 3:14-15). How can simple belief from the heart create new birth and such incredible transformation? urged to believe i­t—and live.